"I estimate we saved 650 person hours of development time and approximately $100,000 in development costs using Iron Speed Designer." Highland Financial Systems develops online tools for independent professionals. 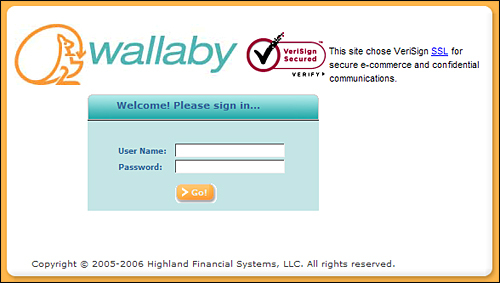 Wallaby is a hosted online tool owned, managed, supported and marketed by Highland Financial Systems. Wallaby was developed to meet the financial management needs of the independent professional real estate agent by providing a fun, easy and friendly way to manage income and expenses. Wallaby provides real estate agents with a means to record and track their income, expenses, and profits. The application calculates quarterly estimated federal income tax payments as well as employee payroll taxes for nine western states. 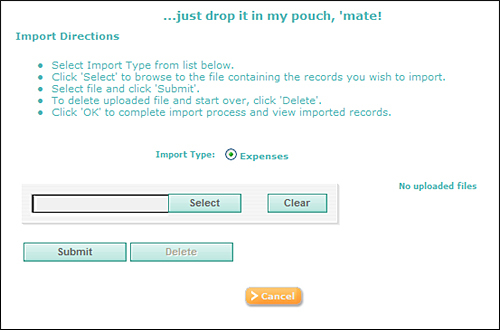 A user subscribes to Wallaby and, upon receiving his username and password, can log on to Wallaby and begin entering his income deduction, expense categories and other supporting data. 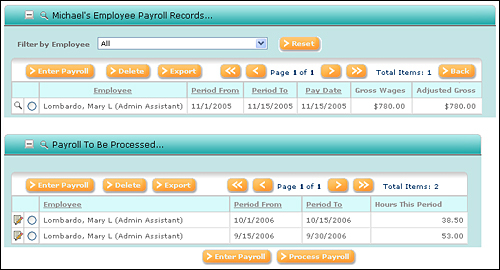 Wallaby allows users to create their own categories and other supporting data items. 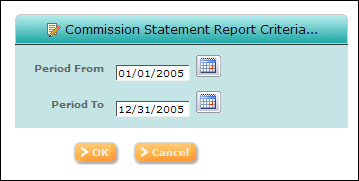 After the user enters his expenses and commissions, he can use the many built-in reports provided by Wallaby to stay on top of his quarterly estimated taxes, annual tax return preparation support as well as answer various business operations and marketing questions such as, "Who are my most profitable clients? Where do most of my referrals come from? Where do my marketing dollars go and what is my return on those expenditures?" Wallaby is also designed so that Highland Financial Systems can push informational messages to individual users or groups of users or all users. These messages could range from subscription information to announcements of changes in tax laws affecting real estate agents and realtors. The application utilizes one Microsoft SQL Server 2000 database, 43 database tables, and more than 130 web pages. The largest database table has slightly less than 10,000 records. However, the database has been designed to scale to accommodate tens of thousands of users, each making hundreds of entries annually. Today there are around 1,000 application subscribers. We estimate this number will grow to anywhere between 10,000 and 15,000 subscribers within the next twelve to fifteen months. Currently there are fewer than 20,000 transactions per month in the Wallaby application. Estimates are for that number to grow to 100,000 to 150,000 within fifteen months. I developed this application on my own over the course of 900 person hours working part-time. Eight hundred person hours were spent on the Iron Speed Designer portion of the project. I incorporated approximately 20,000 lines of custom code into the application over the course of 450 person hours. All table controls, dropdown filter lists and dropdown field list controls needed to pull data from supporting tables filtered by logged in user. I also incorporated Telerik to create the File Upload Component. I used the standard Cascade page style in Iron Speed Designer. I implemented several minor style sheet modifications which were enabled application-wide, as well as class specific, layout modifications. I estimate we saved 650 person hours of development time and approximately $100,000 in development costs using Iron Speed Designer. Without the tool, this project would have taken 1,550 person hours to develop and would have required a skilled graphic artist to match the aesthetics of the Iron Speed user interface. The project would not have been feasible without Iron Speed Designer, at least not without a trip to the venture capitalists' offices. Iron Speed Designer allowed us to produce a very professional application without the need for graphic artists and an entire team of developers, testers, project managers, etc. We have already made plans to extend the Wallaby application. Plans call for version 2.0 which will be a complete redevelopment of Wallaby using the then current major version of Iron Speed Designer and either .NET Framework 2.0 or 3.0. Wallaby v2.0 will make extensive use of third party data grid and date picker components, AJAX, and the Visual Studio 2005 report generation control. Wallaby will most likely always remain a centrally hosted application. We are open to deployment to a brokerage's intra/extranet depending on number of subscribers and other variables. Longer term plans call for moving Wallaby to a web farm hosted by Orcsweb. This will provide additional data security, faster application response times and the ability to scale to tens of thousands of users. Michael has over ten years of experience in information technology, primarily in the Telecom sector. He has designed, developed and administered data warehouses to 500GB in size, web enabled reporting systems and billing and CRM systems. 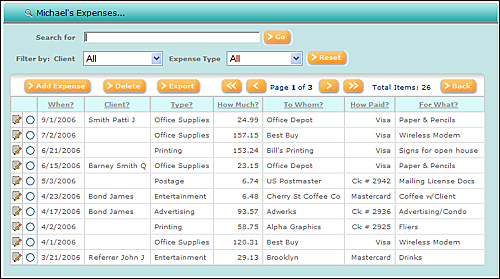 Additionally, Michael has designed and developed several web enabled OLAP-based Business Intelligence Reporting systems.